According to a report in the Washington Post this morning, Virginia Attorney General Mark Herring, a Democrat, will unilaterally end the state's long held concealed carry reciprocity agreements with 25 states. The move comes shortly before anti-gun zealot and Michael Bloomberg backed Governor Terry McAuliffe leaves office. 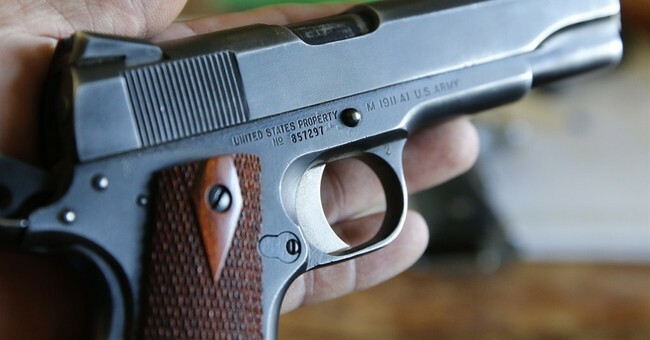 The agreements are reportedly being severed with states deemed to have "weaker" concealed carry requirements as compared to Virginia. Specific details about what provisions in other states qualify as weaker have not been provided. Herring said severing the out-of-state agreements can prevent people who may be dangerous or irresponsible from carrying a concealed weapon. “To me, this is a commonsense step that can help make Virginians and our law enforcement officers safer by ensuring that Virginia’s laws on who can and cannot carry a concealed handgun are applied evenly, consistently, and fairly,” he said in a statement provided to The Washington Post. The State Police superintendent accepted Herring’s recommendation to sever agreements with those states, effective Feb. 1, according to Herring’s office. This move further emphasizes the need for federal reciprocity legislation, which nearly passed in 2013. The 2015 Constitutional Concealed Carry Reciprocity Act was introduced in the Senate earlier this year by Texas Senator John Cornyn and would treat concealed carry permits like driver's licenses, allowing citizens to travel from state-to-state with their permits recognized. As a result, it will be easier for citizens traveling across state lines to avoid being unfairly charged or prosecuted for exercising their Second Amendment rights. It should be noted that stripping the concealed carry reciprocity agreements between Virginia and 25 other states in the name of "safety" will actually do nothing at all to keep citizens safer. Criminals regularly carry guns across state lines without permits. Virginia itself is a very transient place with many military families and government workers from all over the country living short term in northern Virginia while working in Washington D.C. This move will not make anyone safer, instead, it places a larger burden on the law abiding.